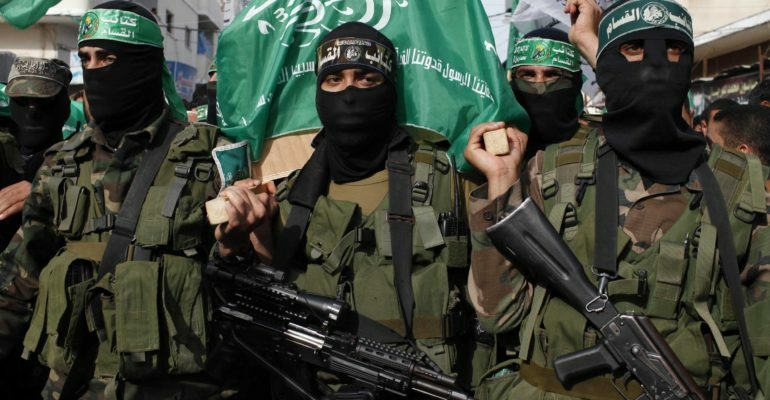 Hamas is a Palestinian Islamic resistance movement located primarily in the Gaza Strip. Hamas is tied to Sunni Islam and the Muslim Brotherhood. The group is one of two Palestinian political parties, with the other being Fatah. In 1987 Hamas was founded as the main military resistance against Israel during the first Intifada. The groups mission calls for rejecting all agreements made between the Palestinian Liberation Organization (PLO) and Israel and to establish an Islamic Palestinian state in the place of Israel. Hamas has a military wing of its party called “Izz al-Din al Qassam Brigades” which carry out attacks on Israeli territories. There is also a political side to Hamas called, “Dawa” that conducts ministry activities and supports the local community. In 1997 the United States declared Hamas a foreign terrorist organization. Hamas started off by primarily using suicide bombings to attack Israel until 2005 when conflict slowed down for several years. After 2009 the group started building defenses up in the Gaza Strip and launching rockets into Israel. During a 2012 confrontation, Hamas launched approximately 2,150 rockets into Israel. Hamas fired over 1,000 rockets into Israeli territory in 2014 with 754 of those rockets getting through Israel’s missile defense systems. Hamas still currently remains a legitimate threat to Israeli citizens. There have also been unconfirmed reports of Hamas gaining control of Russian SA-7 anti-aircraft missiles.